The Fault in Our Stars may have been the first book I’ve read by the insanely popular young adult author, John Green, but it was so good, it ensured it wouldn’t be the last. Looking for Alaska made the journey to Boston with me, and I, for some reason, didn’t think that reading it on the plane would be a big deal. It wasn’t, as long as you don’t have a problem with crying openly on a packed aircraft. Once again Green has impressed me with his ability to connect with people. You may be asking yourself why I keep reading John Green books if they all have made me cry, and it is a good question. They’re just so stinking good I can’t help myself. Although the New Yorker refers to him as “The Teen Whisperer” his books appeal to a wider audience, because he doesn’t treat his Young Adult audience as people who don’t understand what’s going on in the world. He treats them like intelligent, caring, individuals who are trying to figure out this life just like everyone else is. (I’m a firm believer that anyone who tells you they’ve got it all figured out is either deluding themselves or lying). He cares about his fans, and he’s forged a connection that is apparent in not just his novels but the rest of his public presence. (when you include social media, vlogbrothers, mental floss, crash course, press interviews, etc….it is a considerable presence) He doesn’t assume that youth automatically denotes a lack of maturity or that age determines who is a “grown-up”. This imbues his books with something special that appeals to a lot of people. Looking for Alaska deals with issues such as struggling to find your place somewhere new, friendship, ambition, and grief. I don’t know about you, but I struggle with these things too…still…probably always. He approaches these universal problems with humor, truth and sensitivity that is appealing in a way that allows me to take something positive from the novel and apply it in my life. An incredibly good friend told me recently that I’m not good at introspection…okay, an incredibly loud “HA” escaped her when I mentioned introspection. (She’s probably right since I’ve just decided not to look too closely at that “ha” for the moment. Actually, she’s usually right, but don’t tell her I said that.) Books like Green’s help me look a little closer without fear (mostly) and realize I could use more bravery to live in the moment and chase my dreams,recognize the difference between shoving grief in a big dark box and never looking at it again isn’t the same as dealing with loss, and good friends can help you get through anything life hurls your way if you let them. This knowledge is worth the tears. I make this sound like Green’s books are depressing, and they’re not. His characters have great senses of humor, and I find myself laughing far more often than crying. Looking For Alaska describes a few great, intricate pranks I wish I’d thought of when I had the right audience for that kind of thing. While the subject matter can get pretty deep, we are talking about a young adult novel, and Green definitely finds that spark to connect his younger audience to his characters and remind his older audience of what it felt like to be that age again. Humor and fun are a huge part of that. Honestly, while I will always recommend that parents read what they’re kids are reading for a lot of reasons (none of which include censoring what they read, by the way). Even if your kids aren’t reading Green’s stuff, I would recommend you do. His novels really remind me of what it felt like to be a teenager, the good stuff and the bad stuff. With a teenaged niece and nephew, I realize that it is easy to want to protect them from…everything. It is hard to remember how important the decisions I made for myself, good and bad, were in shaping the adult I became…am becoming…will become? (No one has ever accused me of being a grown-up) Being thrown back into that mentality through these novels switched on a lightbulb for me, and stopped me from judging their behavior and decisions (most of the time) and I just started talking to them, free from advice (unless they ask or I can’t help myself), free from disappointment or scorn, and focusing more on just being a really good listener (even if I worry that I may bite through my tongue trying to keep from talking sometimes). Also, skill with open-ended questions helps…occasionally. Teenagers don’t always make it easy to talk to them, and remembering what I went through at that age helps me find solid neutral ground where we can meet from time to time. Also, if they’re not reading the books, most of them saw the movie or have lots of friends who did…a common jumping off place isn’t a bad way to start talking. 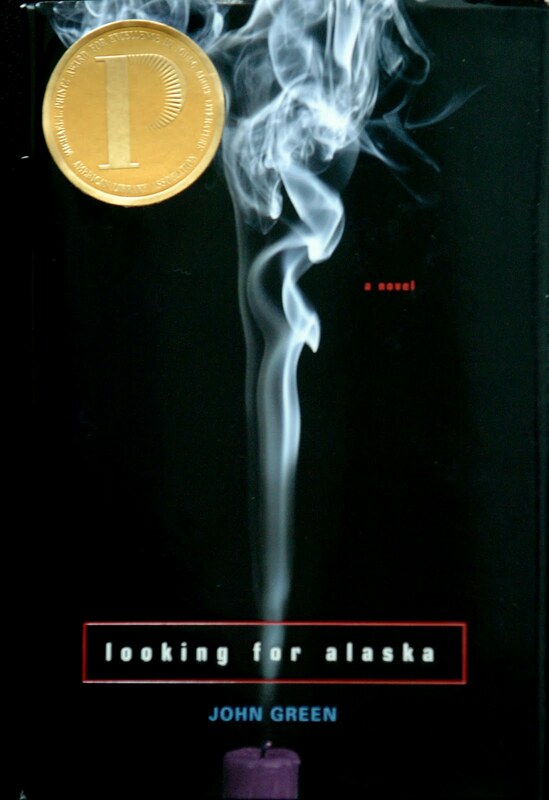 The announcement was made that Looking for Alaska would also be adapted for the big screen. I’m really looking forward to it. John’s novel Paper Towns will also be adapted for film. The same team that brought TFiOS to life for fans will be bringing Paper Towns to us on the screen as well, and after seeing what they accomplished with The Fault in Our Stars I have complete faith them. Of course, if you haven’t seen The Fault in Our Stars yet, I highly recommend it. The week before I left my family and Florida and the rest of my minor life to go to boarding school in Alabama, my mother insisted on throwing me a going-away party. To say that I had low expectations would be to underestimate the matter dramatically. This entry was posted on Wednesday, August 27th, 2014 at 4:37 pm	and tagged with Alaska, Book Review, John Green, Looking for Alaska, Paper Towns, TFiOS, The Fault in Our Sars, Young Adult audience, young adult author and posted in Books. You can follow any responses to this entry through the RSS 2.0 feed. Great post! I agree, John Green has this uncanny ability to deeply connect with people through his characters. Thought you also offered great insight on how it relates to younger audiences. I think kids would benefit tremendously from reading something real that they can actually relate to, like many of Green’s books. I wish more schools recognized this and added these types of books to the curriculum, rather than many traditional novels that were at some point deemed ‘classics’ and required readings.